The Zohar raises the question “how come the other side knows the decrees from above? “. And answers that, Sam-el (The minister of the negative side) and the Snake are appointed to force the correction on all the sins of people. Every ‘sin’ places a flaw in the soul’s root of a person and it stays there until it is corrected. The severity of the correction is based on the origin of the soul. Even if a person merits a soul from Atziluth and transgresses, his correction will be harsher than a person with a soul from a lower level. 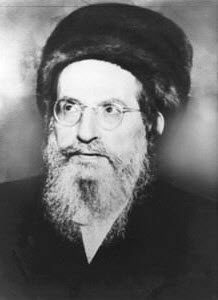 Rabbi Elazar, asks his father, “Isn’t it that a person at such high level can not make sins?” and Rabbi Shimon answers that the freedom to choose is also with those souls but before the soul of Atziluth is flawed, it leaves the person so it won’t be flawed but the person loses the lights that he had from the supernal levels. The water is the aspect of the soul of Atziluth and the dry land is the aspect of the body that is left ‘dry’ with this light. Another question that comes out here is how a soul from the world of Beriah (one level below Atziluth) can be considered as a body. The Zohar explains that the lower level is considered as a vessel to the level above it. When the lower level is corrected, we have the promise of YHVH that the part of the soul that left us will return to us. Everyday is unique and we have new opportunities to make correction and rebuild our souls. Don’t let the material world distract you from taking back these valuable parts of your soul. Open your eyes, mind and heart and with the help of the Zohar study, you will not miss them.